New Nordic Press is an independent publisher that primarily focuses on Danish literature and poetry in English translation, but will also consider translations of Swedish or Norwegian works. We are particularly interested in literature or poetry that is related to the period of the occupation of Denmark during WWII, or the resistance movement. However, other translations or original works will be considered. Our books are printed by Lightning Source, and are listed on Amazon as well as this website. Printing is digital on-demand. Authors or translators, who are considering a book or a translation of relevant material, may contact us. Assistance in the formatting and preparation of text and graphics will be considered. Translation of Danish literature must conform to applicable copyright laws. Our first book is a translation of the selected poetry of Gustaf Munch-Petersen, presented in bilingual format, with a preface by his daughter Ursula, and an introduction by Martine Gertsen, a leading Danish authority on his work. Our second book is a translation of Søren Daugbjerg’s book about the Danish pastor-poet and martyr Kaj Munk. 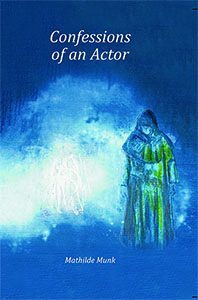 This book contains a preface by Mogens Munk, Kaj Munk’s youngest son. It is the intention of New Nordic Press to follow up with future translations of Danish works by or about Kaj Munk. An independent biography for the American reader is also planned. 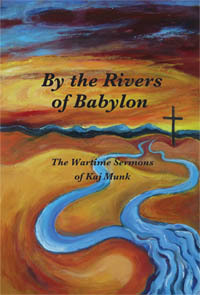 Our third book is a translation of 25 of Kaj Munk’s sermons. The inspiration to make this translation came from Solvej Mehring, Kaj Munk’s daughter. This new edition includes a foreword by Kaj Munk’s granddaughter Arense Lund All but one of these sermons was given during the German occupation of Denmark in WWII. The one exception is Kaj Munk’s very first sermon. It was given in 1919 when he was still a theology student, and is included here because it reveals the young Kaj Munk’s characteristic voice. That was a voice that would be heard so strongly many years later, until the Gestapo tried to silence it. They murdered Kaj Munk, but he was never silenced. Our fourth book is a translation of 30 poems by Kaj Munk. With one exception, these were written during the German occupation of Denmark during WWII. 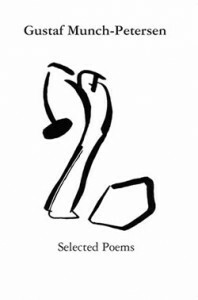 The single exception is Kaj Munk’s first poem, written at the age of eight. Mathilde Munk, Kaj Munk’s granddaughter, has written a short note for each poem. These are set as endnotes starting on page 57. 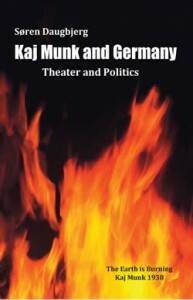 The anger and resolve felt by Kaj Munk is easily felt in the original Danish, and I have tried to retain the content and the feeling of each poem. 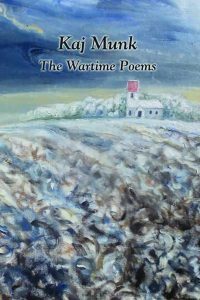 Some of the poems speak very clearly, and leave no doubt what the author wanted to say. Other poems have a hidden meaning, and one of Kaj Munk’s best-known poems, The Blue Anemone, is a sweet story about a flower surviving a harsh winter. Of course, it was also about a people surviving a brutal occupation. The Nazis eventually understood that, and the book was banned. The Nazis confiscated as many copies as they could find. The original edition, printed in 1943, is a beautiful little book, and only 300 were printed. That poem is a Danish treasure, and one that every Dane knows. 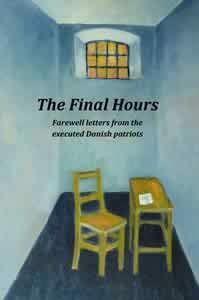 The fifth book in our series of translations is “The Final Hours” (De Sidste Timer), first published in Denmark in 1946. This is a collection of letters written by Danish patriots shortly before the Nazis executed them. Those executions took place between August 1943 and April 1945. This is the first English translation of this collection of letters. Originally, the plan was to translate a “selection” of these letters, which span a wide range of writing talent, from simple and very short, to long and very poetic and impassioned. But it became clear that no selection could be justified. So it was all of them. These letters are both heart breaking, and inspirational. No comments or evaluation are given. The letters speak for themselves. Our sixth book, “A Flame is Burning,” (Der brænder en Ild) was first published illegally in 1944, by the underground publisher Folk og Frihed (Folk and Freedom). Early in the morning of April 9th, 1940, Nazi Germany invaded and occupied Denmark. There was a non-aggression treaty between the two countries, which Germany simply ignored. They claimed, of course, that they were simply protecting Denmark from Great Britain. 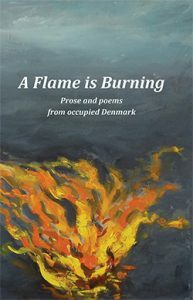 This collection of prose and poetry provides a unique insight into the mood of occupied Denmark. It not only criticizes the lack of resistance to the Nazi occupation, but also encourages the Danes to stand in solidarity against the occupiers. The story by Martin A. Hansen, “A dialogue on killing and responsibility,” illustrates the deep divide in Danish society during that time with respect to the killing of snitches. The Danish noun “et drab” is normally interpreted as “a kill,” though it can be interpreted as “Murder” in some contexts. But it is generally accepted that killing in self defense is not murder. If someone breaks into your house, and you kill them in self defense, then it will not be interpreted as murder. That was the dilemma for many Danes. Had the Germans broken into their home, and was any means of self-defense justified? This is the first novel to be published by New Nordic Press. It was written by Mathilde Munk, the youngest of Kaj Munk’s granddaughters. It is her first novel, and had already been published in Denmark. Mathilde translated the book into English herself.